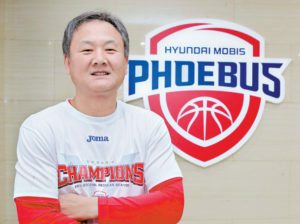 Our latest basketball news takes us to the Ulsan Hyundai Mobis Phoebus and their secret to success. After all, sports news covering the Korean Basketball League (KBL) has been nothing but giving us good news about Mobis Phoebus. They are, after all, the top team in the KBL. In the 2018-2019 season of the KBL, the held on to the lead since the beginning, and was able to secure their spot as the champions of the regular season last March 7, even though they still have 4 more games to play. Humbly so, Mobis Phoebus did not celebrate this feat. The quiet determination almost talks about their confidence in their skills. And, of course, believing they are capable of leading the league. Looking at league numbers, they had the least number of errors in the season with 78. They average 87.8 points per game. They topped the 100-point mark in seven games in the season alone. Such is their skill, that basketball betting fans have dubbed them the “movengers”. Of course, it was not a perfect season for the team. Somewhere towards the middle of the season, players had to take a break due to injuries. The key starting players Yang Dong-geun and Lee Dae-sung were injured and did not play for 3 and 4 weeks, respectively. Meanwhile, Lee Jong-hyun suffered an injury to the knee, which caused him to miss out on the rest of the season. Ra Gun-ah also had to miss games to play for the National Team. But all of these seem to not ruffle the feathers of head coach Yoo Jae-hak. In fact, Mobis Phoebus’s longest losing streak was a measly two games. Yoo’s time and tested strategy of system basketball relies on strategy, and not working around specific players. This could have contributed to the team’s formidable success despite some changes in the roster. Everyone, including the second-division team of Mobis Phoebus, are aiming to master defense and offense patterns. Yoo’s mind, the team’s skill and teamwork, and supportive staff and fans, all make up for an amazing season, one they hope to do again in the next season.